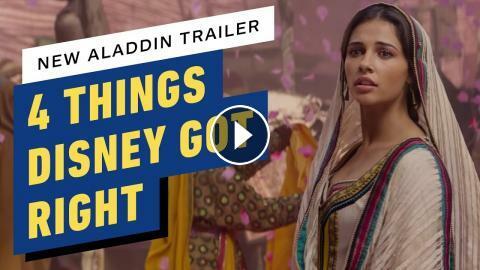 Disney dropped a new Aladdin trailer... and we are actually digging it. We break down the four things that Disney got right this time. Aladdin, Lion King and Jungle Book Disney Game Livestream! Movie Mistakes: Aladdin - "The Polka-Heart Boxers"
Aladdin: Why Didn't We See Will Smith's Genie in the First Trailer?